Do you enjoy the flavor of a homegrown tomato? Would you like to grow your own tomato plants, but you have limited space? I have exciting news for you! If you have an outdoor space where you can hang a plant, you can now grow your own upside down tomatoes. I have room to grow a garden, but I still remember years ago on TV I saw someone had created an upside down tomato planter. It’s all you would see on television commercials. When I was telling my kids about it, they became fascinated. 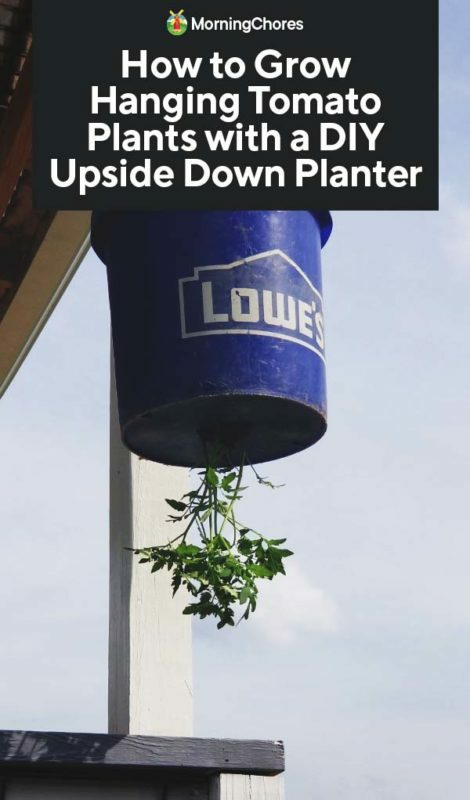 I decided to create my own upside down tomato planter and show my children how you can grow a tomato plant in this way. You can purchase a planter to hang your tomato plant in and grow it upside down. However, if you’re working on a limited budget or don’t want to invest a great deal of money into a planter, you can make your own easily. To start, pick a 5-gallon plastic bucket. It’s important to choose this size to make sure it will hold enough soil and moisture for the plant to thrive. 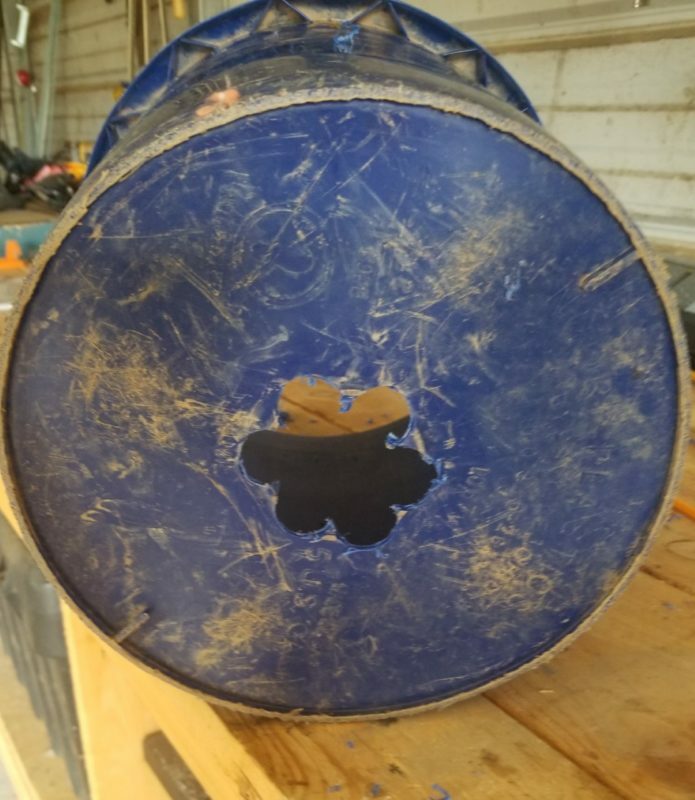 Cut a hole in the bottom of the bucket. It should be approximately two inches in diameter. This will give the tomato a place to stick out but won’t be big enough for the entire plant or soil to fall through. You may need to make the hole larger or smaller depending upon the size or amount of tomato plants you’re growing in one planter. Choosing the proper type of tomato to grow upside down is important to find success when growing tomatoes in this fashion. 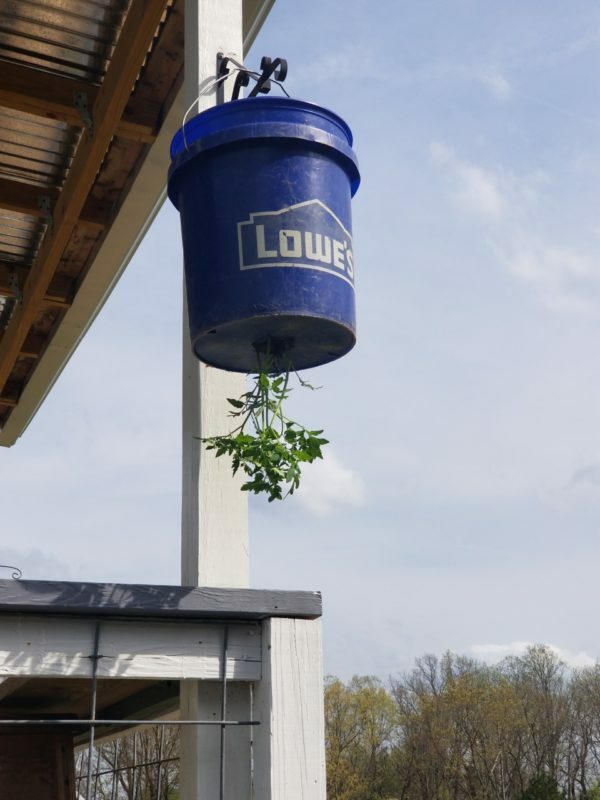 If you’re an experienced gardener, you can attempt to grow a larger variety of tomatoes in an upside down bucket. However, smaller varieties seem to handle this growing method best. Therefore, choose a cherry tomato variety or Roma tomatoes to grow in your planter. The most important qualities to look for in a tomato is making sure they’re healthy, and they have strong, durable stems. If you start off with a quality tomato plant, your chances of success will obviously be much higher than if you don’t. This step is the quickest and easiest step of the entire process. It’s also when things begin to come together for this exciting method. Remove the tomato plant from its packaging and place the root through the hole of the bucket. Unless you have a friend helping you along with this set-up, it’s a good idea to put the bucket on its side. It will ensure your plant doesn’t get damaged while you’re trying to get it appropriately situated. Make sure the bucket doesn’t roll around and cause damage to your tomato plant between this step and the next. I purchased a four-pack of cherry tomato plants and decided to place them all in my upside down tomatoes planter. Therefore, I placed each one in a section of the hole. The lip of the bucket helped hold them in place, but I did require help to have someone hold the bucket during placement. Your tomato is in place; it’s now time to add the soil to the planter to give nutrients to the plant, allow moisture to get to the plant, and to hold the tomato plant in place. This is the somewhat tricky part. You can’t use any soil. Using wet potting soil is important. It may sound like a funny request, but I promise, there’s a reason. 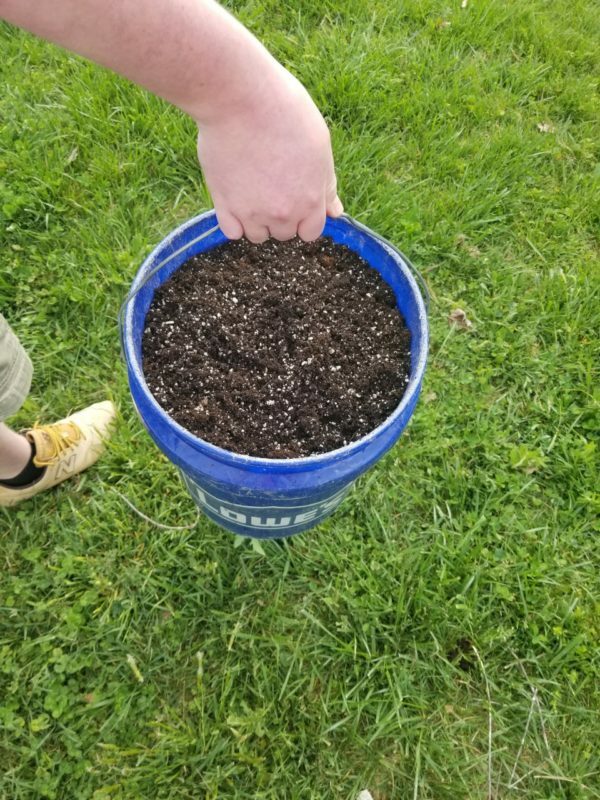 Potting soil is much lighter than other types of soil. It will make it easier for the roots to grow upwards and get what they need from it. If the roots can’t grow in the soil, the plant will die. It’s essential for the potting soil to be wet because this will get immediate moisture to the root of the freshly planted tomato. If you don’t add wet soil, it could make it harder for the freshly growing plant to get the water which will help it avoid shock because it’s harder to get water to a plant growing upside down. Lastly, if potting soil is dry when being applied, it will only continue to dry out from there. As potting soil dries out, it goes from being a sponge to almost concrete. It will refuse water going forward which again, will cause your plant to die. Be sure you fill the bucket up with wet potting soil for a positive growing experience. Your upside down tomatoes are almost ready to do their thing and bring you lots of delicious tomatoes. The last step is to hang the plant where it will get the rest of its needs met. Hang the planter where it will get a minimum of six hours of sunlight every day. You will have to water this type of plant more frequently than you do typical plants in the ground or regular pots. The reason being, the soil must be moist for the roots to get what it needs. When water is being poured down, and the roots are growing up, it’s the opposite of the plant’s natural process. Make sure the soil stays moist by watering it once a day. When the temperatures begin to rise to the mid-80s, it’s time to start watering the plant twice a day. I chose to hang my planter on the side of my porch where our gutters let rain runoff. It helps to keep my plants watered and relieves some of the load from my shoulders. Also, if you see any dead parts on the plant, be sure to prune them and harvest your tomatoes regularly. The more you harvest, the more it will encourage the plant to grow. Hopefully, this has inspired you to grow tomatoes no matter where you live or how much land you have. If nothing else, maybe it’ll be a fun experiment you can try with the kids or grandkids. It’s interesting to see how plants can adapt and thrive in different growing conditions. It’s our hope you’ll enjoy many fresh upside down tomatoes this year. You might even have a few interesting stories, tips, or tricks you can share with those around you when you tell them about your gardening success which all started with upside down tomatoes and a bucket. Happy growing! If you're not growing caraway, you're missing out on a versatile and tasty treat. I had no idea how useful this plant is until I planted it in my garden. Caraway is a hardy herb related to carrots and fennel, and features little white flower heads that seed around mid-summer. Caraway has a long pedigree. It was found in Egyptian tombs as an offering to the gods, and the Elizabethans considered it a love potion. 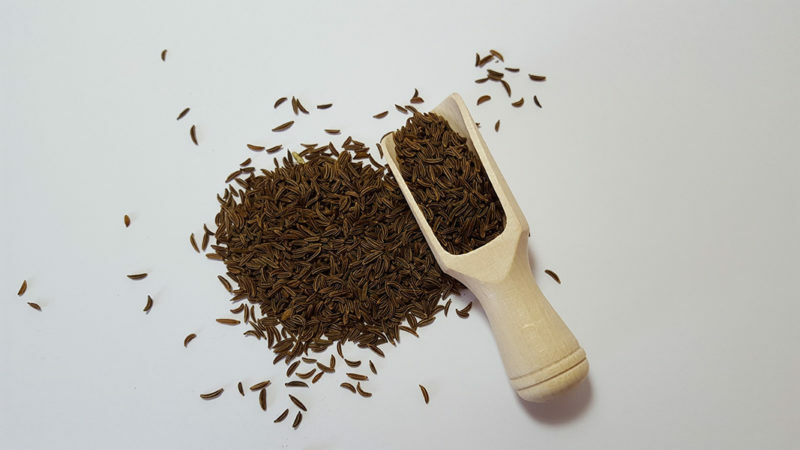 Caraway seeds are technically the fruit of the plant, but we call them seeds because that's what they look like. They add a mild licorice-like flavor with hints of citrus and pepper to dishes. If you've ever had traditional rye bread, you're probably familiar with the taste. You can also eat the leaves when they are young, and you can eat the root after the plant has gone to seed. 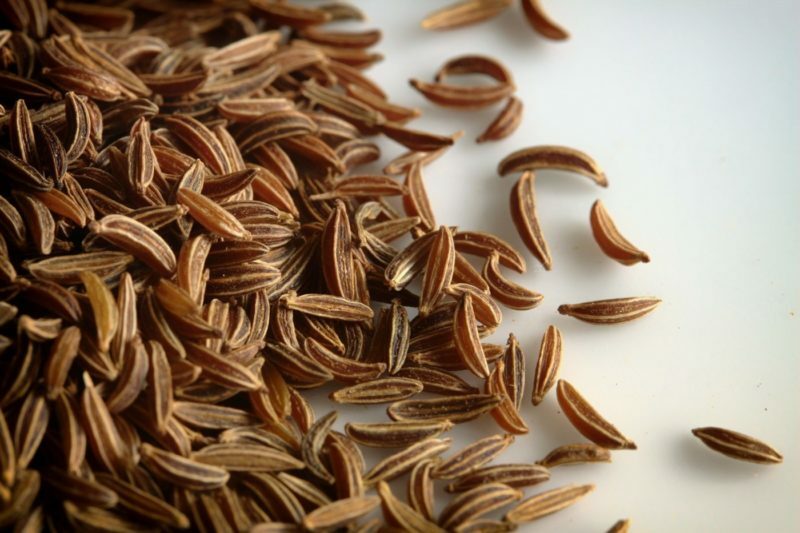 As a bonus, there's some evidence that caraway seeds can relieve indigestion, stomach cramps, bloating and flatulence. Caraway comes in annual and biennial varieties. Some people think the annual variety is inferior to biennial types, but the positive is that you don't have to wait for the second year to harvest the seeds. As a biennial, most caraway plants grow leaves in the first year, and flowers that fruit in the second year. Once the plant sets seeds, it dies off. The plants can vary depending on whether they have origins from Dutch, English, German, Egyptian or African varieties. You'll typically see generic caraway seeds in the home store or nursery, but it's worth searching out the named cultivars, which are superior. The most common of the varieties is Arterner. This variety has a higher oil concentration than other types, so it has a fuller flavor. It also has higher yields so you can get more from each plant. Caraway grows well in zones 4-10. Caraway prefers slightly cooler temps. You can plant caraway as an annual in temperate climates with a long growing season. Plant caraway in a sunny, open spot. In warmer zones, give the plant some shade in the heat of the day. If you live in a cooler climate, full sun encourages good growth. Caraway prefers a pH of 6.0-7.0. Plant in well-drained, loamy soil. Plant caraway in the spring or autumn in warm climates. If you're planting in the spring, put the seeds in the ground as soon as you can work the soil. Plant caraway in winter if you have a long growing season and temperate climate. Start seeds indoors a few weeks before you plan to move them into the garden to get a good head start, but remember to transplant before the root gets too big. Caraway doesn't transplant well if the root is well developed. Caraway is excellent at self-seeding, so plant it somewhere that you don't mind it returning. 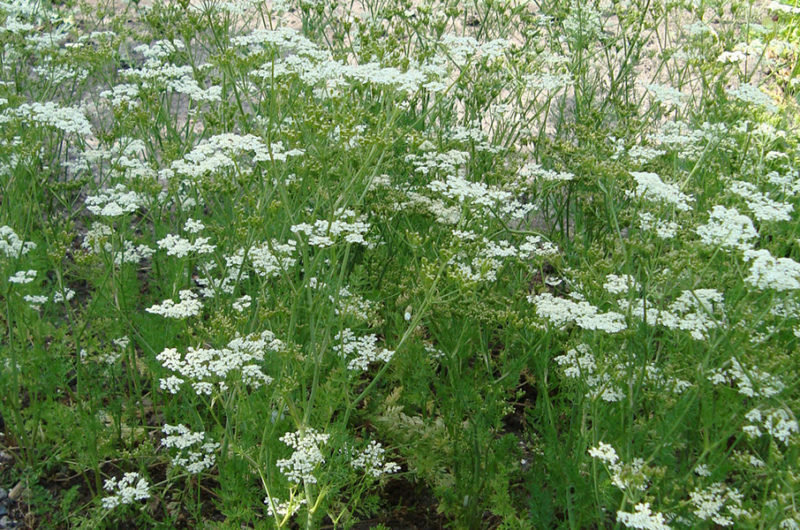 I usually plant caraway in an open, sunny position in the middle of my garden. You can plant in a container, but as caraway has a taproot, the pot needs to be deep. I prefer a tall terracotta pot with rich potting soil. You can also plant caraway indoors. Just make sure it's in direct sunlight. Plant the seeds about 1/2 inch deep in rows about 12 inches apart. Ensure the soil is well fed before planting and water well until germination. Don't allow the soil to dry out. Once the plants have germinated, it's okay to let the soil dry for a short period. Expect caraway to be small in the first year. It may be only 8-12 inches tall as it develops its taproot. In the second year, it will triple in size and start to flower. Fertilize the soil with well-rotted manure before planting the seeds. Once the plants germinate and begin to grow, feed with a good quality liquid fertilizer once or twice in the growing season. Water well especially in the first year when caraway is developing its taproot. During dry periods, give plants a good soak once a week. Make sure you water the soil around the base of the plant and not on the foliage. Protect the plant with mulch during the warmer months and water well. Mulch helps retain moisture in warmer climates. Caraway isn't plagued by too many pests, but there are a few good practices you can use to keep your plants in good shape. Rotate your crops, and keep plants well fed and watered. Since caraway is related to the carrot, watch out for this pest. The adult is relatively harmless, but the larvae dig into the root. Left unchecked, they can destroy a whole crop. You can tell if you have carrot rust larvae because the plant is stunted and may wilt and die. Dig gently around the base of the plant and expose the root to see if there are larvae. I've found the best way to control them is to drench the soil around the plant with organic pyrethrum. These caterpillars stand out because they are quite striking: they're green with yellow and black bands across their backs. The good news is they're easily spotted. The bad news is they like to eat the foliage of your growing caraway plants. It's simple to control them by removing them when you see them. If your infestation gets bad, you can use an organic insecticide. 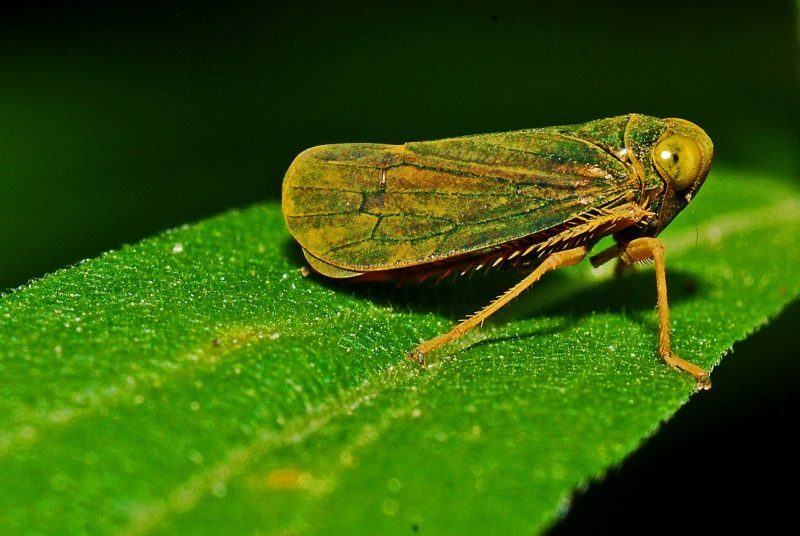 Leafhoppers eat the sap out of the leaves causing a lot of damage. Remove the damaged leaves as soon as possible to avoid spreading disease. Use insecticidal soap to control these bugs. 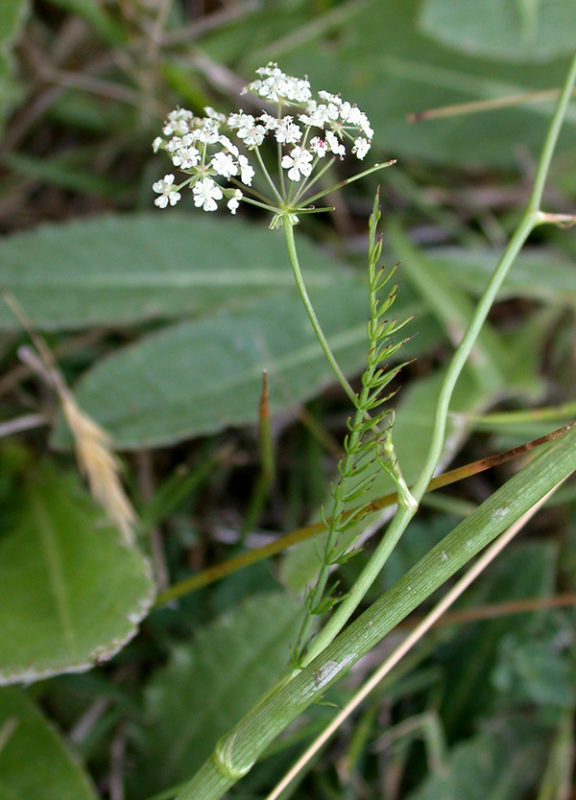 Grasshoppers attack many plants, including caraway. I use homemade pepper-based sprays and also let the chickens into my garden to devour the bugs. You can also try vinegar and garlic sprays. Avoid growing caraway near fennel or dill. Gather the leaves when they're young. You can eat them in salads or cooked like chard. I've also added the leaves to soups or on top of eggs. I started growing caraway for the seeds because they're so healthy for you and they taste incredible! Pick the seed heads in late summer or when they're brown. 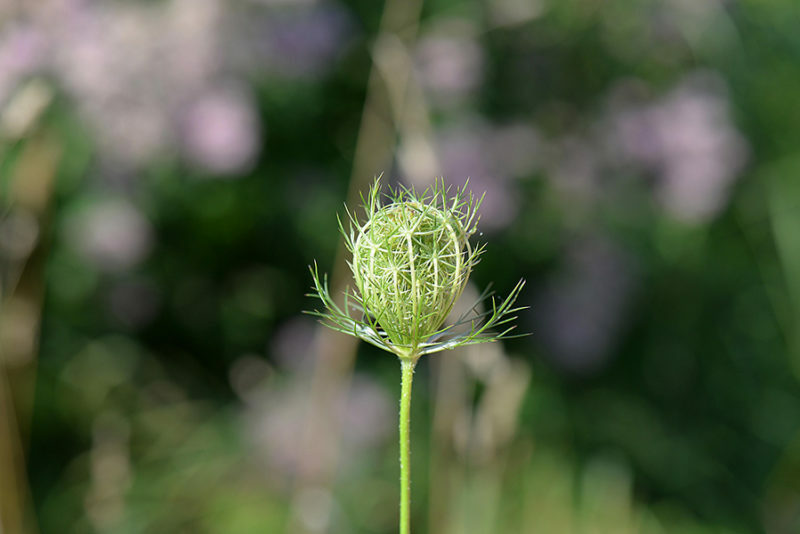 Hang the seed heads upside down in a warm, dry space over a container to collect them as they fall. Ensure they're dry before storing in a glass container in your pantry. Dig up the roots in the second autumn and roast or use as any other root vegetable. Have any brilliant caraway uses that we haven't covered here? Be sure to share them with us – we can never get enough uses for caraway. You've probably heard of neonicotinoids, a class of insecticide that can help control pest populations. 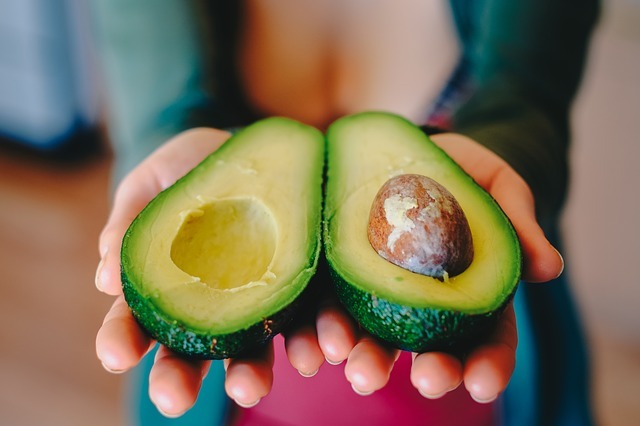 While they have their uses, what you may not know is that these chemicals could have serious drawbacks, like the possibility of harming the environment and wildlife. 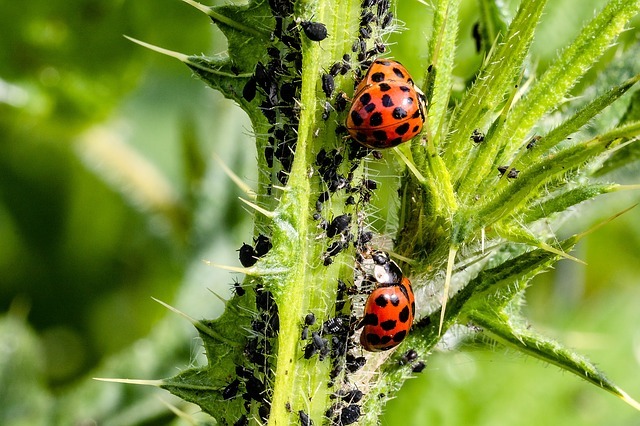 That's not to say that you have to accept damaging insects like aphids and grubs in your garden, but it does mean that you may want to equip yourself with some knowledge before you start spraying indiscriminately. We'll let you know what the dangers of neonicotinoids are, what the science says and how you can use them effectively in your space. Neonicotinoids are a group of insecticides that target the nicotinic acetylcholine receptors in insect nervous systems. They’ve been around for over a decade and are an essential pest control method for agricultural producers. Most often, they’re applied as a treatment to seeds which is absorbed as the plant grows. You can also spray the insecticide onto plant matter, though this method is less common. Coating seeds with the insecticide prevents it from becoming airborne, which makes it the safest application method. Why do people use neonicotinoids? There are a few good reasons that the insecticide is so popular around the world. Neonicotinoids do an excellent job at targeting pests like aphids and whiteflies, which cause widespread crop damage by sucking sap from plant foliage. Because they're selective, they aren't harmful to humans and other vertebrates. They’re easy to apply safely, too. The bottom line is that they help prevent economic loss by preventing pest infestation safely and effectively. The problem with neonicotinoids is that they're currently used as a preemptive measure for pest avoidance and reduction. Treated seeds and spraying happens even when there's no current pest problem. Essentially, the insecticide is being overused, which may be causing issues for beneficial insects. So what does the science say about neonicotinoids? The research is still ongoing as scientists continue to study the effects of this class of insecticides on the environment and pollinators, but the evidence points to the need for caution. It’s difficult to reproduce studies in the field since environmental conditions are ever-changing and bees often travel far and wide to collect pollen. The benefits of using the pesticide are clear, but research shows that there are downsides to the widespread use of neonicotinoids. Lab testing highlighted in a 2012 study, shows that neonicotinoids mess with bee navigation and memory. This causes them to have trouble getting back to their hive and finding food sources. Another study tested bee navigation and found that bees had trouble navigating back to their hive for about an hour and a half after exposure. Neonicotinoids affect the central nervous system of target insects. Sap-sucking pests like aphids feed on treated foliage and consume concentrated doses of the toxin. While bees may not be exposed to concentrated doses because they don't consume foliage, those who come into contact with non-lethal doses of the stuff may still be adversely affected. Another study shows that while exposure to neonicotinoids may not lead to harm in all cases, it’s possible that exposure to a combination of more than one insecticide may exacerbate issues and create more significant problems in pollinators. There’s also evidence that chronic exposure to even low levels of neonicotinoids may encourage parasitic infestations of beehives. There’s evidence that the pesticides are toxic not only to bees but other pollinators as well. Problems stem from both acute and long term exposure. Lethal doses have the ability to kill bees and pollinators, but nonlethal doses have a host of other ill-effects like reduction in bee colony performance due to the effect on bees' neurological systems. There’s also concern about the potential effects on the larger environment. Because they’re so common, neonicotinoids don’t only end up on plant foliage, they also run off into the water and get absorbed into the soil. Some neonicotinoids (imidacloprid and fipronil) may even affect birds and fish and can impact their reproductive activities. Research points to high concentrations of the insecticides posing a lethal threat to birds and fish. Consider, too, the effects down the food chain. While you may not want certain insects chomping on greens in your garden, some wildlife requires specific insects for sustenance. Research suggests that neonicotinoids may have a secondary effect on lizard populations because they reduce the amount of available food. What Happens if the Pollinators Die? One of the primary dangers of neonicotinoids is that it harms pollinators. 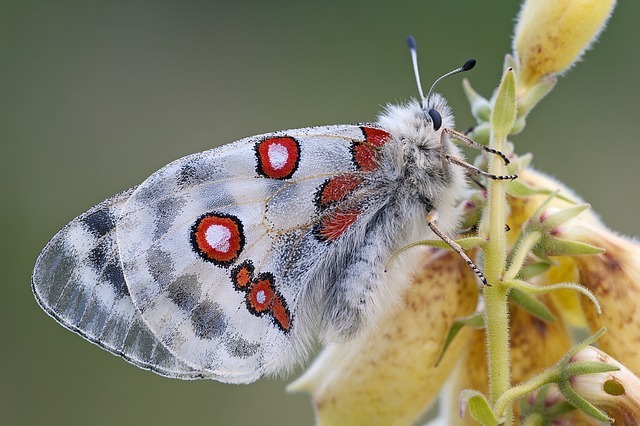 Without pollinators, the plants they pollinate would potentially go extinct. We’d not only lose a plant-based source of food, but we’d also lose the plants, insects, and animals that eat those plants to survive. Pollinators a necessary part of our food chain, and without them, humans would be left hungry. Hand pollination doesn’t produce the same results. Without bees, we wouldn’t just be missing out on honey, and we’d see our global food supplies dwindle. The current rich diversity of fruits and vegetables would drop considerably. We’d be stuck nibbling on food that self-pollinates. It might be fine for a while, but our culinary existence would soon feel bland and unsatisfying, not to mention it would lack nutritional value. You’d also have to pay ten-fold for that delicious piece of avocado toast that already costs an arm and a leg. Check for labels that explicitly say that plants are free of neonicotinoids or other insecticides. Ask your local store or grower whether the plants have been sprayed or treated with neonicotinoids. Don’t spray your garden with pesticides. Opt for natural pest control methods, instead. Avoid garden center plants unless you’re confident they haven’t been sprayed. For commercial growers, it may be tough to find alternatives. It’s not as simple as not purchasing the potted plant marked as being sprayed with neonicotinoids. Still, there ways around the use of these types of insecticides. Here are a few alternatives. Use integrated pest management. This strategy involves applying pest control methods based on current needs instead of potential ones. Build healthier soils and ecosystems by implementing sound agricultural practices such as crop rotation. Plant and breed pest-resistant varieties that are naturally immune to problem insects. Use biological insect control via the introduction of predator insects (e.g., ladybugs and parasitic wasps) to control problem pests. Use natural pesticides and insect traps as an alternative to neonicotinoids. Is a Total Ban the Answer? The flipside to a ban, as suggested by a feature published in ‘Current Biology,’ is that getting rid of these very potent and effective modern insecticides may incite growers to return to toxic alternatives that pose a greater threat to human health. So while neonicotinoids may have their drawbacks, they can also be a useful tool in the gardener's arsenal. Speak out. 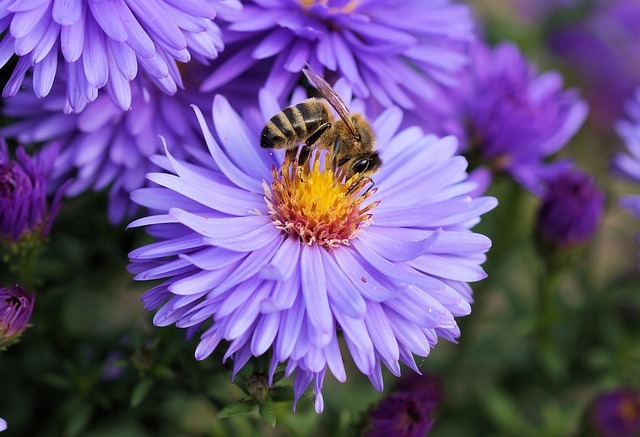 Talk to other gardeners and educate them about the pros and cons of neonicotinoids, and how they can avoid purchasing plants that have been exposed. Ask your local growers and garden centers not to stock neonicotinoid sprayed products. The discussion surrounding neonicotinoids is an important one. It’s crucial that we take stock and understand the influence and impact that the use of insecticides may have on a grander scale. 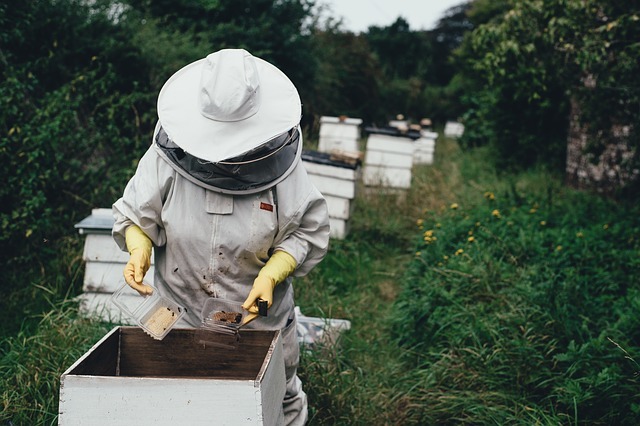 Whether this means a move towards non-lethal insecticides that are safe to use and don’t harm bee populations or a move away from these pest control methods entirely, it’s vital that we keep the conversation going. We must keep a close eye on how human actions impact the earth. As gardeners, I believe it’s critical that we remain informed and healthily skeptical. If you are interested, encourage your representatives to push for further research into pest safe, pollinator-friendly pest control. 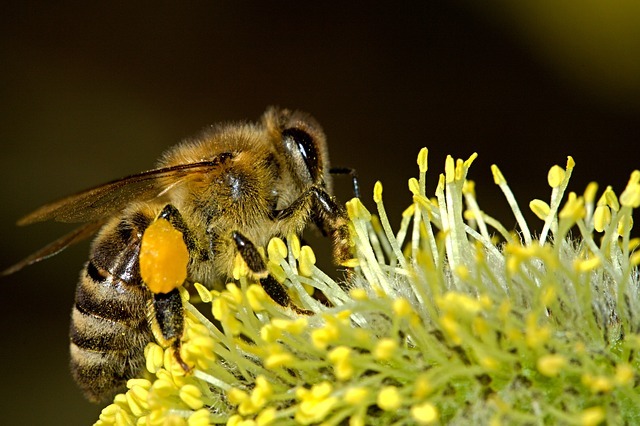 Tell officials that you want better risk assessment policies to determine whether products are safe or not for humans and pollinator populations. Every time I spot a bee nestling in a squash blossom or a butterfly resting on my garden beds, I think about the hard work these incredible creatures do for us. They give my garden life and ask for very little in return. The least I can do is make sure that they’re safe while they putter around the flowers and blooms. Are you concerned about the dangers of neonicotinoids and their effects on pollinator populations? What worries you most? What steps do you take to avoid neonicotinoids in your garden? Let us know in the comments section below!